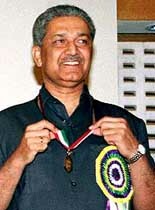 Soliman Biheiri. He is the head of BMI for the duration of the company’s existence. US prosecutors will later call him the US banker for the Muslim Brotherhood, a banned Egyptian militant group. Biheiri’s computer will eventually be searched and found to have contact information for Ghaleb Himmat and Youssef Nada, leaders of the Al Taqwa Bank, which is founded two years after BMI (see 1988). After 9/11, the US and UN will designate both Himmat and Nada and the Al Taqwa Bank as terrorist financiers, and the bank will be shut down (see November 7, 2001). US prosecutors say there are other ties between BMI and Al Taqwa, including financial transactions. 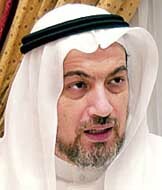 Biheiri also has close ties with Yousuf Abdullah Al-Qaradawi. Qaradawi is said to be a high-ranking member of the Muslim Brotherhood, a shareholder in Al Taqwa, and has made statements supporting suicide bombings against Israel. In 2003, US investigators will accuse Biheiri of ties to terrorist financing. He will be convicted of immigration violations and lying to a federal agent (see June 15, 2003). [Wall Street Journal, 9/15/2003; Forward, 10/17/2003] Biheiri will be convicted of immigration fraud in 2003 and then convicted of lying to federal investigators in 2004 (see June 15, 2003). The International Islamic Relief Organization (IIRO) and the Muslim World League, closely connected Saudi charities suspected of financing terrorism. They give BMI $3.7 million out of a $10 million endowment from unknown Saudi donors. The Financial Times will later note, “While it is not clear whether that money came from the Saudi government, [a 2003] affidavit quotes a CIA report that says the Muslim World League ‘is largely financed by the government of Saudi Arabia.’” Both organizations consistently deny any support of terrorism financing, but in early 2006 it will be reported that US officials continue to suspect them of such support (see January 15, 2006). [Financial Times, 8/21/2003] In 1992, a branch of the IIRO gives $2.1 million to BMI Inc. to invest in real estate. The money disappears from BMI’s books. In October 1999, BMI goes defunct after it is unable to repay this money to the IIRO branch. The IIRO branch gives BMI the rest of the $3.7 million between 1992 and 1998. BMI will use the money to buy real estate (see 1992). Eventually, some of this money will be given to Hamas operatives in the West Bank and spent on violent actions against Israel. This will eventually lead to legal action in the US and a seizure of some of the money. [Wall Street Journal, 11/26/2002; Washington Post, 8/20/2003; Washington Times, 3/26/2004; Washington Post, 4/19/2004] By 1992, BMI has projected revenues in excess of $25 million, based largely on their real estate investments in the US. [US Congress, 10/22/2003] In early 1999, months before BMI goes defunct, the FBI hears evidence potentially tying BMI to the 1998 US embassy bombings (see 10:35-10:39 a.m., August 7, 1998), but an investigation into this will not be pursued (see Early 1999). It should be noted that BMI had many investors, and presumably most BMI investors would have had no suspicions that their money might be used to fund terrorism or other types of violence. Entity Tags: Mousa Abu Marzouk, Central Intelligence Agency, Jamil Sarsour, Yassin al-Qadi, Mohammad Salah, Hamas, BMI Inc.
Mousa Abu Marzouk, the political director of Hamas, has been laundering money and fundraising in the US for Hamas (see July 5, 1995-May 1997). The Holy Land Foundation charity is secretly financing Hamas suicide bombings (see October 1993; December 4, 2001). Saudi multimillionaire Yassin Al-Qadi is funding Hamas (see June 9, 1998). Al-Qadi is funding al-Qaeda attacks (see October 1998). Entity Tags: Oussama Ziade, Hussein Ibrahim, James Cerrato, Muhammed Mubayyid, Gamel Ahmed, Care International (Boston), Yassin al-Qadi, Al-Qaeda, Yacub Mirza, BMI Inc., Suheil Laheir, Abdurahman Alamoudi, Soliman Biheiri, Ptech Inc. In 2006, popular Sarajevo magazine Slobodna Bosna will report that Bosnian Muslim President Alija Izetbegovic received nearly $200,000 from Yassin al-Qadi, who will later be officially designated a terrorist financier (see October 12, 2001). Bosnian authorities reportedly discovered the money transfer from a British bank while investigating the Muwafaq Foundation, a charity headed by al-Qadi. The investigation also learned that Muwafaq channeled $15 to 20 million to various organizations, and at least $3 million of that went into bank accounts controlled by Osama bin Laden. [AKI, 9/8/2006] Muwafaq reportedly helped finance the mujaheddin during the Bosnian war, especially supporting a mujaheddin brigade fighting for Izetbegovic’s government that was also called Muwafaq (see 1991-1995). Entity Tags: Oussama Ziade, BMI Inc., Yassin al-Qadi, Ptech Inc.
Yassin al-Qadi, a Saudi multimillionaire businessman, was officially declared a terrorist financier in October 2001 (see October 12, 2001). [Arab News, 9/26/2002] That same month, a number of employees at Ptech, a Boston-based computer company that al-Qadi and other individuals suspected of financing officially designated terrorist groups invested in (see 1994), tell the Boston FBI about the connections between Ptech and al-Qadi. However, FBI agents do little more than take their statements. A high-level government source later will claim the FBI does not convey the Ptech-al-Qadi link to Operation Greenquest, a Customs Department investigation into al-Qadi and other suspected financiers, and none of the government agencies using Ptech software are warned about the possible security threat Ptech represents. [Boston Globe, 12/7/2002; WBZ 4 (Boston), 12/9/2002] According to a private counterterrorism expert involved in investigating Ptech at the time, “Frighteningly, when an employee told [Ptech president Oussama Ziade] he felt he had to contact the FBI regarding al-Qadi’s involvement in the company, the president allegedly told him not to worry because Yaqub Mirza, who was on the board of directors of the company and was himself a target of a [Greenquest] terrorist financing raid in March 2002 (see March 20, 2002), had contacts high within the FBI.” [National Review, 5/27/2003] A Ptech investigation will finally begin in 2002 after more whistleblowers come forward (see May-December 5, 2002). Entity Tags: Operation Greenquest, Larry D. Thompson, Federal Bureau of Investigation, Michael Chertoff, Ptech Inc. Entity Tags: US Congress, Federal Bureau of Investigation, Office of the Inspector General (DOJ), David Schippers, Robert G. Wright, Jr. Entity Tags: Yassin al-Qadi, BMI Inc., Federal Bureau of Investigation, Robert G. Wright, Jr.
FBI agents raid Ptech offices. 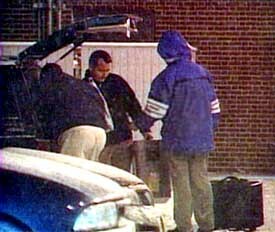 [Source: ABC News]Federal agents search the offices of Ptech, Inc., a Boston computer software company, looking for evidence of links to Osama bin Laden. A senior Ptech official confirms that Yassin al-Qadi, one of 12 Saudi businessmen on a secret CIA list suspected of funneling millions of dollars to al-Qaeda, was an investor in the company, beginning in 1994. Ptech appears to have connections to other potential terrorist financiers (see 1994). In particular, there seem to be many ties between Ptech and BMI Inc., a New Jersey-based company whose list of investors has been called a “who’s who of designated terrorists and Islamic extremists” (see 1986-October 1999). [Newsweek, 12/6/2002; WBZ 4 (Boston), 12/9/2002] A former FBI counterterrorism official states, “For someone like [al-Qadi] to be involved in a capacity, in an organization, a company that has access to classified information, that has access to government open or classified computer systems, would be of grave concern.” [WBZ 4 (Boston), 12/9/2002] On the day after the raid, US authorities will claim that Ptech’s software has been scrutinized and poses no danger. But security expert John Pike comments, “When you look at all of the different military security agencies that they have as customers, it’s very difficult to imagine how they would not be encountering sensitive information, classified information.” [National Public Radio, 12/8/2002] The search into Ptech is part of Operation Greenquest, which has served 114 search warrants in the past 14 months involving suspected terrorist financing. Fifty arrests have been made and $27.4 million seized. [Forbes, 12/6/2002] However, the raid appears to have been largely for show. Ptech was notified by US officials in November that they were being investigated, and they were told in advance exactly when the raid would take place (see May-December 5, 2002). Top officials in the US government appear to have made up their minds before the results of the raid can even be examined. White House Press Secretary Ari Fleischer comments on the Ptech raid only hours after it ends: “The one thing I can share with you is that the products that were supplied by this company to the government all fell in the nonclassified area. None of it involved any classified products used by the government. The material has been reviewed by the appropriate government agencies, and they have detected absolutely nothing in their reports to the White House that would lead to any concern about any of the products purchased from this company.” [White House, 12/6/2002] The fact that the raid takes place at all appears to be due to the persistence of Operation Greenquest investigators, who are engaged at this time in a bureaucratic battle with other investigators over who will control US government investigations into terrorist financing (see After March 20, 2002-Early 2003). Greenquest will lose this battle early in 2003 and get shut down (see May 13-June 30, 2003). In his 2003 book Black Ice, author Dan Verton will call Ptech an “innocent” casualty of Operation Greenquest’s “scorched-earth” tactics. [Verton, 2003, pp. 223] No charges will be brought against Ptech, and the company will continue fulfilling sensitive government contracts under a new name (see May 14, 2004). Entity Tags: Operation Greenquest, Federal Bureau of Investigation, Yassin al-Qadi, Central Intelligence Agency, Ari Fleischer, BMI Inc., Ptech Inc. Entity Tags: Oussama Ziade, Ptech Inc.